Exciting news today for fans of the Coen Brothers. Their recently announced series The Ballad of Buster Scruggs has found a home. It will premiere next year on Netflix. And apparently Joel and Ethan are quite ecstatic about the news. This will be the legendary filmmaking brothers' first ever TV series. It's an anthology set in the West, and it will feature longtime collaborator Tim Blake Nelson in the lead. The Ballad of Buster Scruggs, a new Netflix original project to be written and directed by Joel and Ethan Coen, and produced by Annapurna Television, is coming in 2018 for Netflix members around the world. The Western anthology will feature six tales about the American frontier told through the unique and incomparable voice of Joel and Ethan Coen. Each chapter will feature a distinct story about the American West. The project will star Tim Blake Nelson as Buster, and many others. 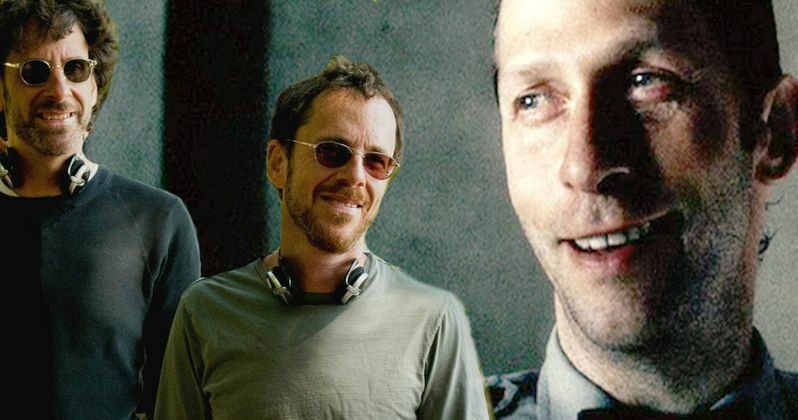 Academy Award® winners Joel and Ethan Coen will write and direct the anthology, as well as serve as executive producers. Megan Ellison and Sue Naegle from Annapurna Television will also serve as executive producers, along with longtime Coen Brothers collaborator Robert Graf. The Ballad of Buster Scruggs is an Annapurna Television production and will premiere in 2018. Said Joel Coen and Ethan Coen. Said Cindy Holland, Vice President, Original Content for Netflix. "The Coens are visionary directors, masterful storytellers, and colorful linguists. We are thrilled for Netflix to become home to the full range of their talents." Annapurna Television, under the leadership of Annapurna Founder Megan Ellison and President of Television Sue Naegle, focuses on bringing Annapurna's singular commitment to smart, innovative, and original programming to the television medium. By amplifying the voices of top creators and filmmakers, the company will produce and develop projects for broadcast, digital, and cable properties. Currently, they are in pre-production on the HBO limited series Today Will Be Different, based on Maria Semple's novel and set to star Julia Roberts, the adult animated series Amberville, for Amazon, and The Ballad of Buster Scruggs for Netflix, a Western anthology written and directed by the Coen Brothers, amongst other projects in development.